The pitch delivered by the trio from Germany saw them triumph against six other finalists and over 270 submitted projects. Digital IF-THEN assistant for your Porsche: Steffen Iwan, Christian Brachert and Valentin Rüchardt, aka team “AUTOmator”, have been crowned the winners of the “Porsche NEXT Open Innovation Competition” with their idea of linking apps with the Porsche vehicle and making them work for the driver automatically. The final of Porsche’s competition to find innovations for the sports car of the future took place on Saturday, May 19, as part of the Formula E Grand Prix in Berlin. “We are thrilled to have won the Next OI Competition against such talented opponents. We are extremely proud to have the opportunity to develop our idea further together with Porsche. We hope to be able to contribute in a small way towards Porsche’s digital transformation in the future”, said AUTOmator inventor Steffen Iwan after the award ceremony. The three developers won not only a visit to the Porsche Research & Development Centre in Weissach, but also prize money totalling 10,911 euro. Moreover, their concept will now be refined in a pilot project in collaboration with Porsche. Iwan, Brachert and Rüchardt pursued the idea of making the car work for the driver automatically, akin to a personal assistant. Specially predefined situations would independently trigger specific app commands that you would otherwise have to carry out yourself. The magic words are if-then. For example, if the car leaves the parking spot at the company, then the smart home system should be automatically be activated. Or if the driver gets an email from a certain sender, then a notification should automatically be shown at the car display. According to this principle, numerous if-then-links of apps and vehicle functions are possible. 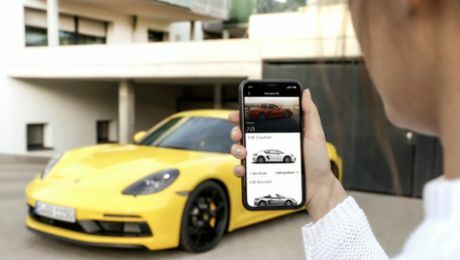 In February 2018, Porsche launched an open competition for digital development in cooperation with the Berlin-based technology start-up, High Mobility. Participants were tasked with designing and developing apps enabling the vision of the sports car of the future. For two months, participants were granted access to over 140 APIs (open programming interfaces) and thus data sources and functions of a Porsche vehicle to enable them to build their own applications, present them virtually and test them using a car emulator. The various ideas focussed on infotainment, navigation, parking applications and the chassis. The competition was open to interested parties from all over the world and aimed in particular at independent developers, start-ups, students as well as internal Porsche developers. 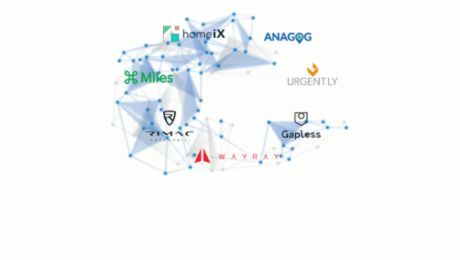 A total of 1,055 participants from over 50 different countries registered for the competition, calling up half a million APIs between them. “The competition showed us how important it is for us as a company to be open to new ideas and outside impetus. Our aim is to expand the Porsche ecosystem through campaigns such as the Next OI Competition. The level of interest shown in the competition and the quality of the submissions confirmed that this was exactly the right approach. We are already looking forward to the next contest”, said Andy Grau, innovation manager at Porsche and project manager of the Porsche Next OI Competition. The teams crowned second and third in the final also have to opportunity to refine their idea in a pilot project in collaboration with Porsche. Furthermore, they were also awarded monetary prizes of 9,110 euro and 1,911 euro respectively. The “SoundReply” team programmed a driving simulator using the Porsche Track Precision app 4.0, which gives the player tailored voice instructions to keep them on the ideal line on the race track. The “Smart Garage” project developed by the “Dräxlmaier Campus” team is a solution allowing Porsche drivers to maintain full control over vehicle data and have necessary services performed automatically.